1. The protection of the Antarctic environment and dependent and associated ecosystems and the intrinsic value of Antarctica, including its wilderness and aesthetic values and its value as an area for the conduct of scientific research, in particular research essential to understanding the global environment, shall be fundamental considerations in the planning and conduct of all activities in the Antarctic Treaty area. aFrom the Antarctic Treaty Searchable Database: 1959-1999 CD-ROM. catch-up, such baselines can be generated from the growth structures of organisms (such as teeth or shell growth bands) that continuously record ambient environmental variations during their lifetimes (e.g., Fig. 9.9). Baselines also can be generated from geological, chemical and fossil archives that reflect the natural dynamics of the Earth system unambiguously from periods before any human impacts (Figs. 6.5,7.4,8.10, and 9.3). (g) Sensitive to human impacts a Modified from Berkman (1998). Marine Living Resources (CCAMLR), which discusses the prevention of ecosystem changes that are not ''potentially reversible over two or three decades.'' This CCAMLR time frame was based on the general lifespan of Antarctic seals, which further suggests applications of key indicator organisms (Box 11.4) for assessing ''transitory'' impacts in ecosystems. b. a minor or transitory impact; or c. more than a minor or transitory impact. 2. Each party shall ensure that the assessment procedures set out in Annex I are applied in the planning processes leading to decisions about any activities undertaken in the Antarctic Treaty area pursuant to scientific research programmes, tourism and all other governmental and nongovernmental activities in the Antarctic Treaty area for which advance notice is required under Article VII (5) of the Antarctic Treaty, including associated logistic support activities. 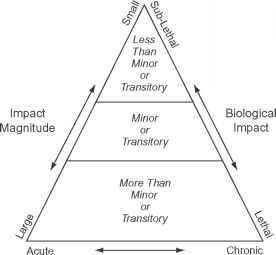 FIGURE 11.9 Impact gradient matrix for quantifying impact durations and magnitudes as well as biological responses to assess ''minor or transitory impacts'' as prescribed by the 1991 Protocol on Environmental Protection to the Antarctic Treaty (Box 11.5). 1500 persons during the austral summer (Fig. 5.2a). Moreover, the majority of Antarctic research stations involve fewer than 100 persons—indicating that Antarctic station impacts are ''minor'' by any measure on a continental scale (e.g. Figs. 5.2b and 5.2c). Since the heroic age (Chapter 3: Terra Australis Incognita), however, most Antarctic stations have been located in coastal areas that are ice-free and accessible compared to the 98% of Antarctica that is ice-covered (Figs. 11.1 and 11.4). Moreover, since the IGY, the highest concentration of coastal stations has been in the Antarctic Peninsula region, with nine stations on the 1450-square-kilometer area of King George Island alone (Fig. 11.4). Importantly, exposed coastal areas are where most of the terrestrial life on the continent ekes out its existence (Fig. 9.4, Table 9.3). Localized impacts at coastal stations range from discarded materials (such as buildings and drums at abandoned stations) to displacement of natural assemblages (such as the Adelie penguin rookery near the French station at Dumont D'Urville, which was replaced by an aircraft runway in the 1980s). There also are research stations that have been operating continuously since the IGY that have become point sources of chronic pollution impacts, such as the United States' research facility at McMurdo Station (Fig. 5.2a and 11.1). Adjacent to the McMurdo Station in Winter Quarters Bay, with its ice wharf for docking vessels near a former dump site, there is intense and localized pollution within a 0.1-square-kilometer area (Fig. 5.2a). Hydrocarbon concentrations in the sediments range to 4500 parts per million in the back part of Winter Quarters Bay and decrease several orders of magnitude within a couple of hundred meters toward McMurdo Sound (Fig. 3.1b). Similarly, polychlorinated biphenyls (PCBs) and other synthetic organic compounds, including dichlorodiphenyltri-chloroethane (DDT), show significantly higher concentrations in Winter Quarters Bay than background concentrations in McMurdo Sound. Across this pollution gradient, infaunal species (polychaete worms and bivalve molluscs) as well as epifaunal species (starfish, sea urchins, and nemertean worms) increase in abundance as concentrations of hydrocarbons and chlorinated compounds decrease from the station point source. The Bahia Paraiso oil spill near Palmer Station (Fig. 11.4) in 1989 is a poignant example of a localized acute ecosystem perturbation. The spill was confined by small islands within a 100-square-kilometer area with limited wind-and-wave dispersal across the sea ice and open water. The type of oil spilled was diesel fuel antarctic (DFA), which is semi-volatile with low concentrations of toxic aromatic hydrocarbons that weather quickly compared to unrefined crude oil. 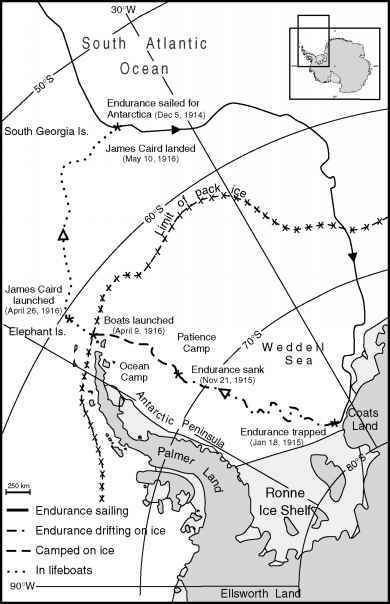 Nonetheless, the oil was spilled in a polar environment where cold temperatures slow the bacterial decay of all organic matter, as demonstrated by the persistence of fuel oil residues in marine sediments dating back to the beginning of the 20th century near the Stromness whaling station on South Georgia. mortality among the nearby limpet populations, with hydrocarbon concentrations in their tissues exceeding 125,000 parts per billion. High concentrations of hydrocarbons (greater than 17,000 parts per billion) also were observed in clams near the spill and at lower levels (less than 1300 parts per billion) a couple of kilometers away. Following the oil spill there was high reproductive failure among the south polar skua (Catharacta maccormicki), Adelie penguin, and cormorant (Phalacro-corax atriceps) populations in the vicinity. Fatalities among cormorant adults also opened up space in rookeries, which exposed surviving chicks to increased predation from skuas, eventually causing the number of nests on Cormorant Island to decline from nearly 400 to zero. In addition to chemical or physical impacts, Antarctic ecosystems also are being disturbed by nonindigenous species transported by humans. The alarming concern and reality about invading species is that they cause structural and functional changes in native biotic assemblages. Because of the huge magnitude of invasive species being introduced by humans around the world (the Office of Technology Assessment estimates nearly 6300 alien species in the United States alone), measures to mitigate their impact have been adopted repeatedly since the first Antarctic Treaty Consultative Meeting (Recommendation I-VIII) in 1961.